Dr. Gage earned his medical degree at the University of Texas Southwestern Medical School in Dallas, graduating 2001. After successfully completing a rigorous general surgery residency at Indiana University and obtaining board certification, he then went on to complete a plastic surgery fellowship at the Cleveland Clinic in Cleveland, Ohio, in 2009. While in Cleveland, he trained with a world renowned plastic surgery faculty with a strong focus on aesthetic surgery. He then chose to complete one additional year of craniofacial training in Dallas, Texas, in order to develop a focal expertise in caring for pediatric and adult patients with craniofacial problems. 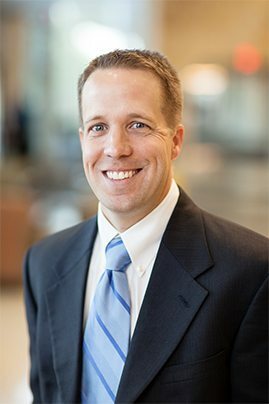 With this focal craniofacial expertise as well as the broad cosmetic and reconstructive experience gained in his general plastic surgery training, Dr. Gage is uniquely suited to care for children and adults with cosmetic and reconstructive surgery needs. Earl Gage, MD is a plastic and reconstructive surgeon in St Louis, MO. He specializes in adult cosmetic and reconstructive surgery as well as the treatment of pediatric craniofacial problems. Dr. Gage’s most important life’s work, however, lies within the walls of his own home. He and his wife are the parents of 7 energetic boys and 2 very determined girls who keep things very busy and very exciting at home. Dr. Gage is a member of the American Society of Plastic Surgeons and is board certified in both general surgery and plastic surgery. He has also met the rigorous ethical and professional requirements for medical licensure in 5 states. He currently practices in St. Louis, MO where he is a proud member of the surgical staff of Mercy Hospital, and Missouri Baptist Medical Center. Watch Dr. Gage answer questions on his most popular procedures. By checking this box you hereby agree to hold Earl Gage, MD, including it’s doctors and affiliates, harmless from any hacking or any other unauthorized use of your personal information by outside parties. By checking this box, you also agree to opt-in to email communication from Earl Gage, MD.